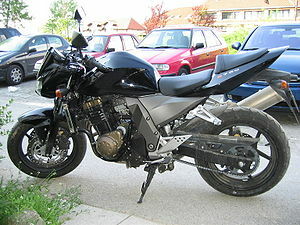 The Kawasaki ZR750K is a motorcycle produced by Kawasaki from 2005 to 2006. 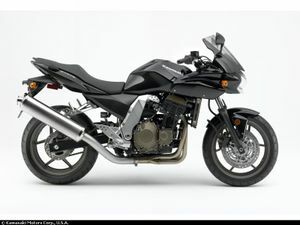 The Z750 motorcycles is Kawasaki's model in budget class of nakeds and half faired bikes, smaller version of Kawasaki Z1000. 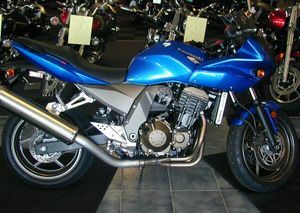 Z750 was presented in 2004, after Z1000 great success in 2003. Kawasaki played simple, they used same engine block, cheaper front suspension and much simplier exhaust making a cut-down version of Z1000. Apperance was a bit less aggresive and "eye catching" the fun factor stayed equally high and the price was significatly lower. Z750 easily manages to defeat his competitors (Yamaha FZ6 and Fazer, Suzuki GSR600, Bandit 650, SV650(s), Honda CB600(France)) in most head-to-head comparisons thanks to great engine. Thanks to 100-150 ccm of extra displacement Kawasaki was able to make Z750's engine much more torque and responsive in low and mid engine speeds compared to other budget middleweights, especially Yamaha's which are equally fast but demand much more revs. Naked and half faired sport bikes are much more about commuting in city and cruising on short journeys than speeding and revving the engine "in red" so Kawasaki made a real good job with Z750's engine. Bigger engine costs more so Kawasaki had to go with the steel frame, while all other manufacturers use aluminum which made Z750 heaviest in class. 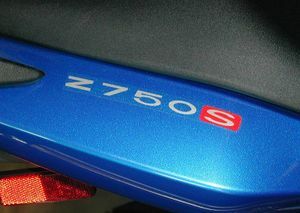 This is only real con for Z750, but few extra kilos was easily "canceled" with more power and torque. By many, this is cheating because for years this class was populated with 600-650ccm bikes, but consumers really don't care, they get faster and more exciting bike for same money. Aggresive "streetfighters" styling makes Z750 very attractive and eye catching, which is another category which makes naked bike great. 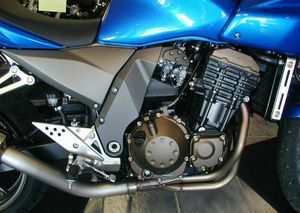 A standard Z750 will make almost 100 hp at the rear wheels, and swapping the muffler for an easier-breathing item will yield slightly over that figure. The power is delivered in a seamless stream with no large dips or troughs but it still manages to deliver a furious top end rush. 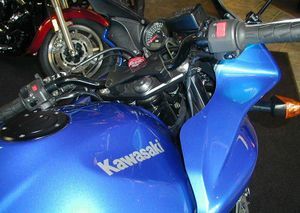 The fuel injection is a sophisticated dual-butterfly system usually found on more expensive bikes. One butterfly is controlled by the rider while the other is controlled by the EFI. 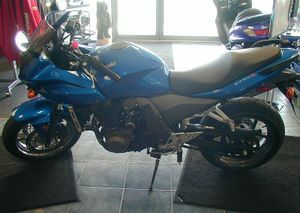 It delivers smooth and usable power from just over tick-over to the 11,500 rpm redline. The brakes are quite basic, two pot floating units. They lack feel with the standard brake lines but still give a surprising amount of power. 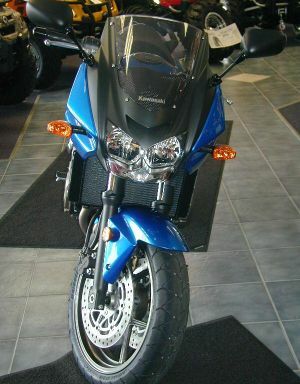 Handling wise the Z750 is much more than the sum of its parts. The wide bars allow the rider to flick between corners with ease and the bike handles lumps and bumps in the road better than any sports bike. The pegs will touch down quite easily but this is more due to the bike's ability than their low placement. The small screen doesn't offer much protection at high speeds, especially at its 245 km/h indicated top speed! The riding position is very comfortable with a classic naked bike style - sit up and beg. 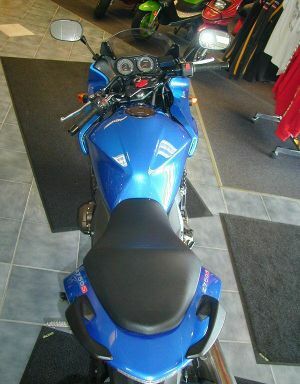 The pillion position is less accommodating with a small peg-to-seat height and no real grab-handle. The 18 liter tank allows for a much larger than average cruising range.